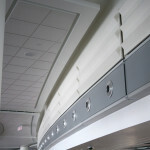 The various depth channels molded into this linear plank system provide the breakup and redistribution of sound waves. 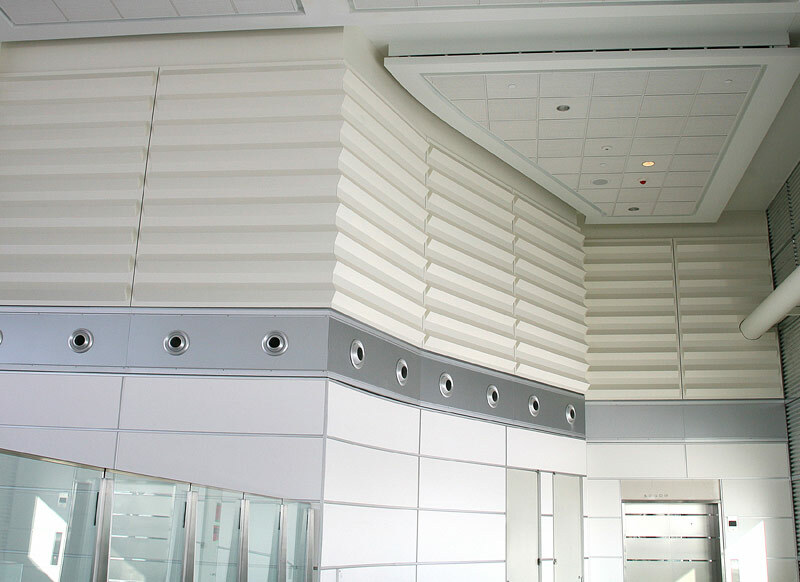 As a plank system with matching trim, it is incorporated into localized areas within a wall. Relatively small percentages of the total surface are needed to effectively control flutter and echo. Planks are manufactured with the hardwood specie and factory finish that matches the surrounding panels and other millwork. 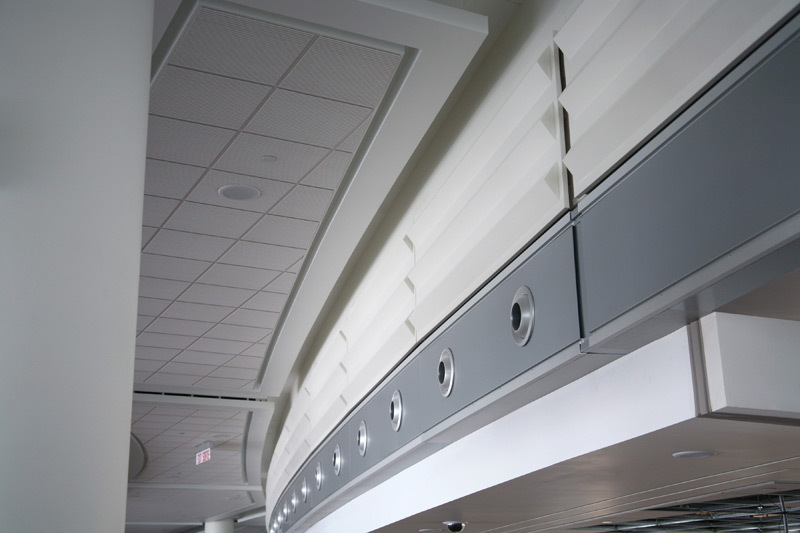 The planks are field trimmed and installed to match the acoustician’s requirement for sound diffusion in a particular area and within particular frequencies. Various groove widths and depths are available to control diffusion and flutter. 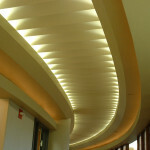 The actual pattern of the decorative face can be uniquely tailored to the specific design aspects of a project. 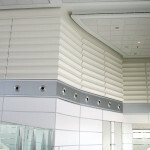 The face patterns can be distinctive within each panel or blend with adjacent panels. 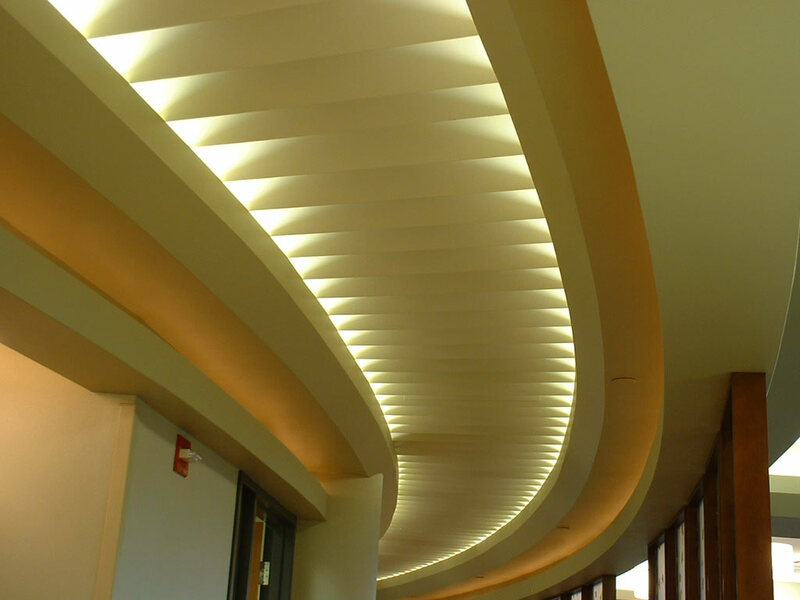 Although most frequently used for wall or column applications, they can also be incorporated into ceilings. Because of the unique face undulations, many patterns are painted or coated rather than covered with wood veneer. Have a query or need a custom quote?